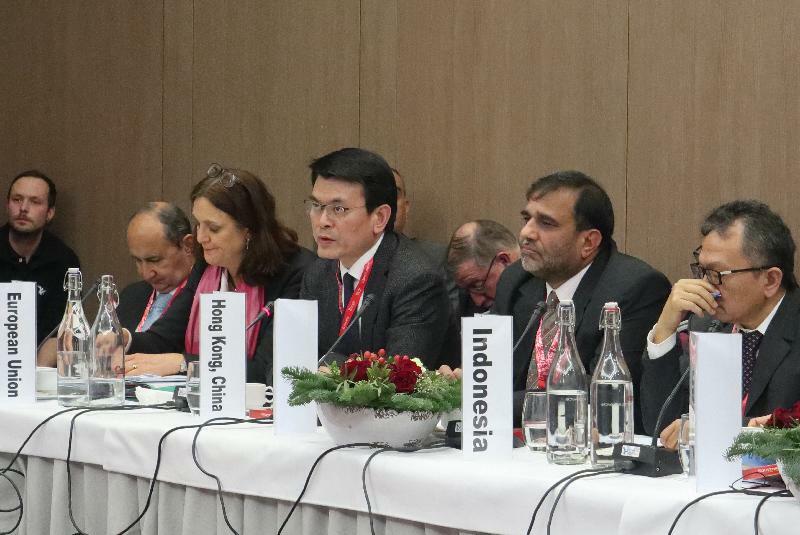 The Secretary for Commerce and Economic Development, Mr Edward Yau, urged members of the World Trade Organization (WTO) to preserve a well-functioning WTO by lifting the blockage to the Appellate Body appointment at the WTO Informal Ministerial Gathering in Davos, Switzerland, today (January 25, Davos time). Held on the margins of the World Economic Forum, the Informal Ministerial Gathering provided an opportunity for participating ministers to discuss ways to advance the trade agenda and to preserve the relevance and credibility of the multilateral trading system, including ideas for reforming the WTO. 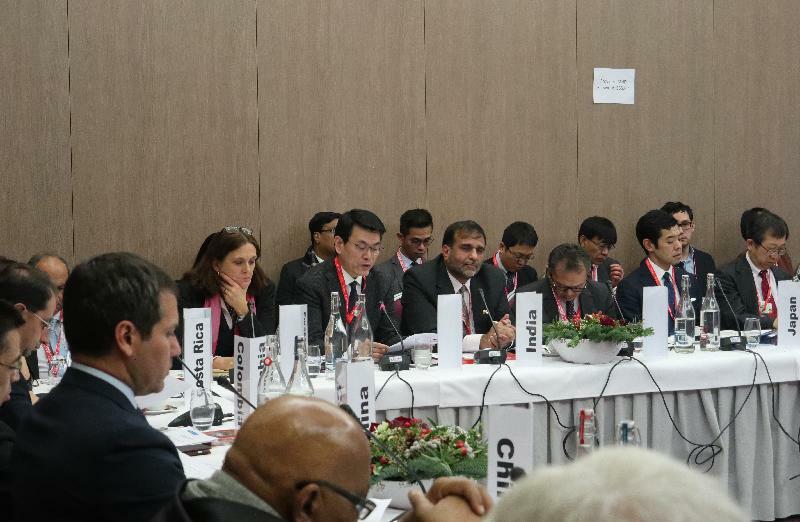 "That the WTO has imperfections to fix is no excuse to shut down its engine and grind its core functions to a halt," Mr Yau said. "Hong Kong stands ready to discuss the WTO's imperfections, and appreciates the good intentions of all the WTO reform proposals for improving the dispute settlement mechanism," he said. The dispute settlement mechanism of the WTO that keeps the multilateral trading system going will stall by the year's end if new Appellate Members are not appointed in the coming months. Mr Yau added that attempts to negotiate new rules on e-commerce, domestic regulations and fisheries subsidies should move forward in parallel. 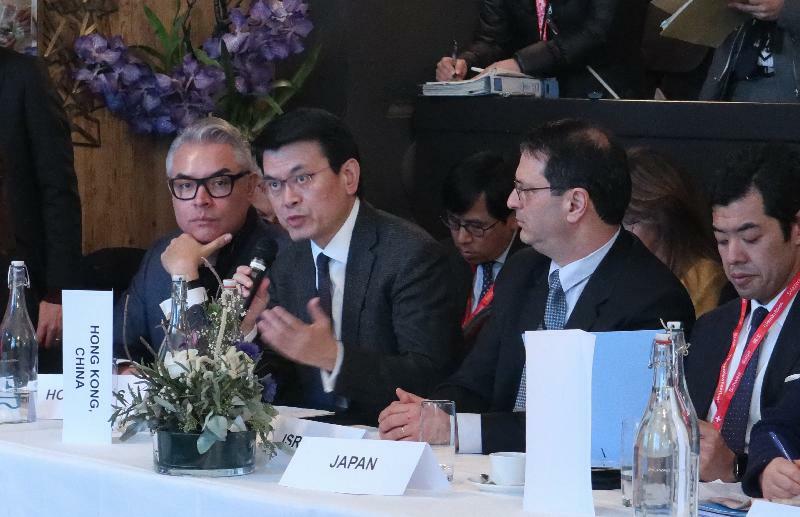 Before the Informal Ministerial Gathering, Mr Yau also attended the Informal Ministerial Meeting on Electronic Commerce in which participating ministers shared their views on the topic "How can WTO negotiations capture opportunities offered by electronic commerce for all WTO Members?" He said it is important that the negotiations cover all essential elements for building a predictable and conducive e-commerce environment for global trade and the outcome should lead to a set of trade rules which give both suppliers and consumers the confidence they need to engage in and reap the benefits of e-commerce. Mr Yau will return to Hong Kong tomorrow (January 26).